WELCOME TO THE DUN CHAOCHAIN WEBSITE. 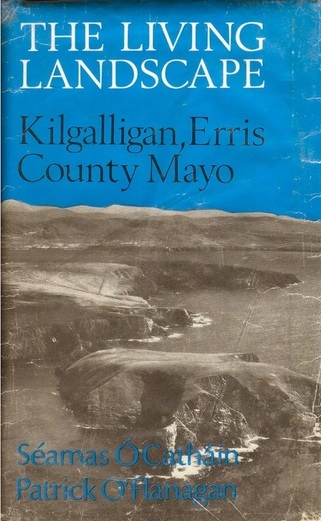 The Irish-speaking townland of Kilgalligan situated on the northwest coast of County Mayo covers only 852 acres. Nevertheless, upwards of 800 placenames are to be found there. These have been collected in the field and are presented here together with English translations and phonetic renderings. The authors have combined the methods and approaches of their respective disciplines in order to show the cultural and socio-economic significance of the placenames, thus giving an understanding of the factors involved in their creation, the people who made them and the purposes they serve. In bringing together the placenames and folklore of a specific area, the book aims at providing an analysis of life in a west of Ireland townland which has much in common with many other isolated communities around the Atlantic fringe of Europe. The authors are Seamas Ó Catháin former Professor at the Dept of Irish Folklore, University College Dublin and Patrick O' Flanagan, former lecturer in Geography at University College Cork. 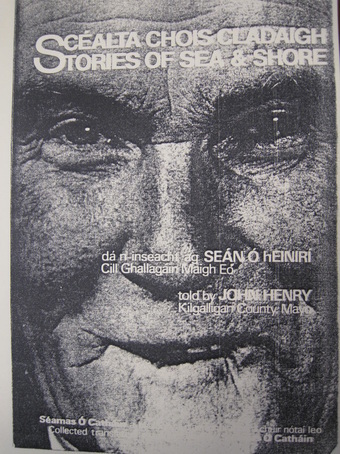 A collection of stories of sea and shore as told by the late John Henry from Cill Ghallagáin on the northwest coast of County Mayo. 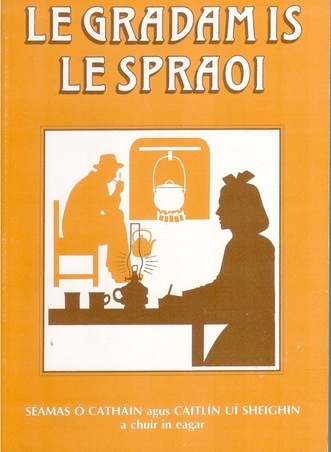 Collected, translated and annotated by Séamas Ó Catháin. ​A MHUINTIR DHÚ CHAOCHÁIN, LABHRAÍGÍ FEASTA! In 1937 a scheme known as Bailiúchán na Scol or The Schools’ Collection was initiated. Primary school children were asked to gather folklore in their own communities. Such was its success that within eighteen months over a half a million pages of written material was collected and stored in the archives of the Irish Folklore Commission. Among the participating schools was Ceathrú Thaidhg National School which produced one of the finest collections of folklore including folktales, legends, songs, prayers, proverbs, riddles, weather lore, cures, superstitions, customs and descriptions of a former way of life. 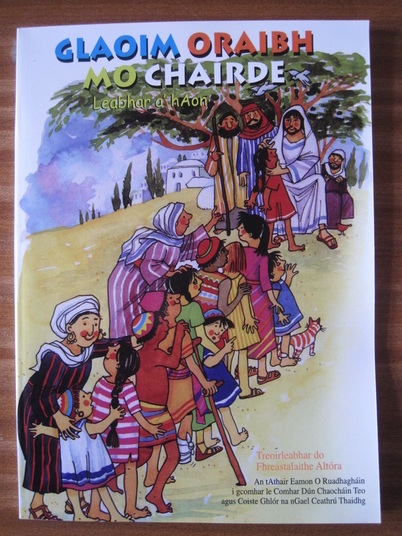 A collection of folklore which was gathered under the scheme Bailiúchán na Scol or The Schools’ Collection from three primary schools in the Erris Gaeltacht in County Mayo namely Port Durlainne, Ros Dumhach and Gleann na Muaidhe. The schoolchildrens’ accounts include folktales, legends, songs, prayers, proverbs, riddles, weather lore, cures, placenames, crafts, superstitions, customs and descriptions of a former way of life. 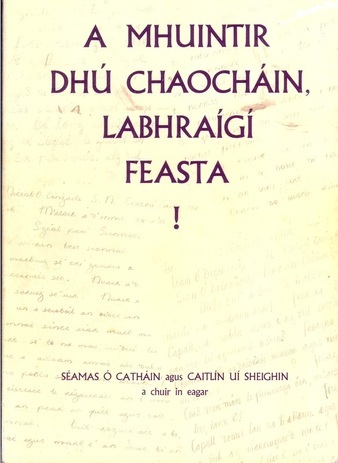 This is the second collection from the Erris Gaeltacht which has been compiled and edited by Séamas Ó Catháin and Caitlín Uí Sheighin. Described as “one of Irelands best kept secrets”, the Dún Chaocháin walks have featured in a number of publications including the Lonely Planet, Walking World Ireland, The Irish Times and Irland Journal. 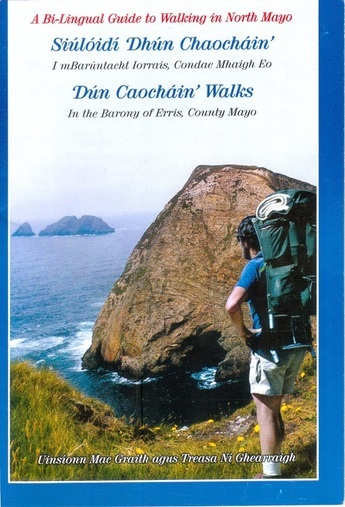 Five walks, of varying distance and challenge, take you along the spectacular cliffs and beaches of north Mayo, from Béal Deirg westwards to Porturlin (Port Durlainne), Portacloy (Port a’ Chlóidh), Benwee Head (An Bhinn Bhuí) and Rinn Rua. The guidebook offers an introduction to the area with clear trail directions as well as information on local points of interest. 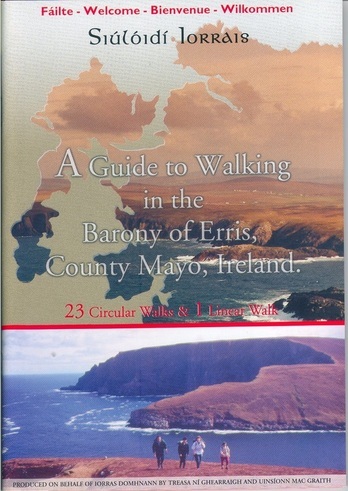 The Erris walks guidebook offers a variety of twenty four walks throughout the barony of Erris, from the National Park at Ballycroy in the south to the soaring cliffs of Dún Chaocháin in the north, and westwards to the dunes and wild Atlantic coastline of Gaoth Sáile and the Mullet peninsula. 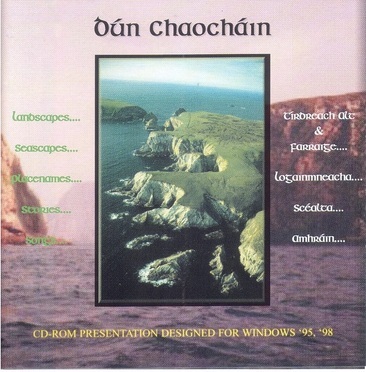 Featuring the beautiful Gaeltacht (Irish speaking area) of Dún Chaocháin in the parish of Kilcommon in northwest County Mayo, the Dún Chaocháin CD ROM is a perfect example of the innovative projects made possible by new digital media. 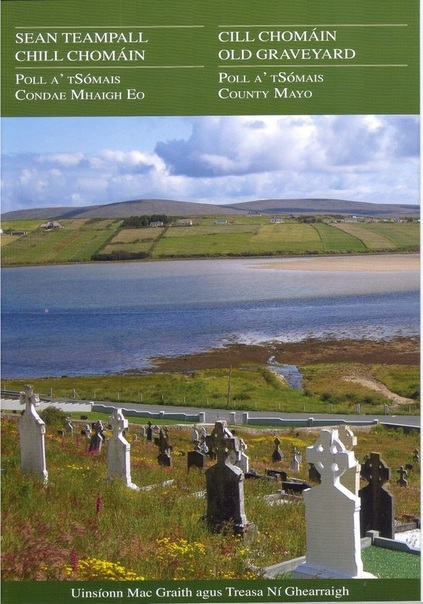 This book describes in vivid detail over 1,500 Irish placenames in the Irish-speaking community of Dún Chaocháin in County Mayo, each one mapped in its exact location. Various heritage themes are explored including aspects of local agriculture (the rundale system, the booley, lazy beds, the potato, hay and grain crops, the lime kiln), the traditional house, the bog and the harvesting of peat, aspects of fishing, as well as traditional crafts (shoemaker, blacksmith, cooper and tailor). This rich collection of folklore gives us an insight into the lives of the people who lived and continue to live in this area. 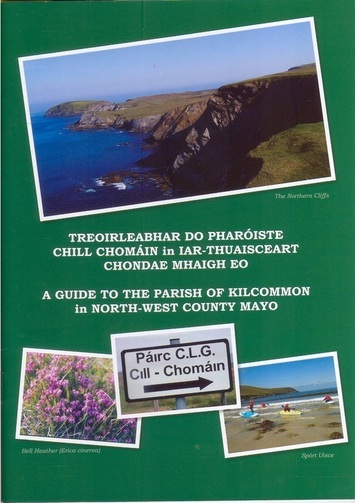 A bi-lingual guide which provides information for visitors, or those moving to the area from elsewhere, on what services and activities are available in the parish of Kilcommon. Included are descriptions of the Irish language information centre, accommodation, walks, marine life, angling, beaches, birdwatching, archaeology, the sculpture trail, the Turas na Gaeltachta heritage trail, pre-school services, youth activities, services for the elderly, transport, education, training, health services, community centres, churches, sports facilities, grocery shops & post offices, public houses and recycling facilities. An Teampall, one of five graveyards in the parish of Kilcommon, is situated in the townland of Cill Ghallagáin and has been used as a burial ground for centuries. The oldest graves, marked by simple undecorated stones, surround the conical-shaped mound in the north-eastern corner which is believed to be the former cell of Saint Gallagán, the patron saint of the area. This publication aims to preserve the heritage of the graveyard, which stretches from the Early Christian period down to the present day. It provides a detailed plan of the graveyard so that people can locate their relatives’ graves easily and documents the information inscribed on each headstone. 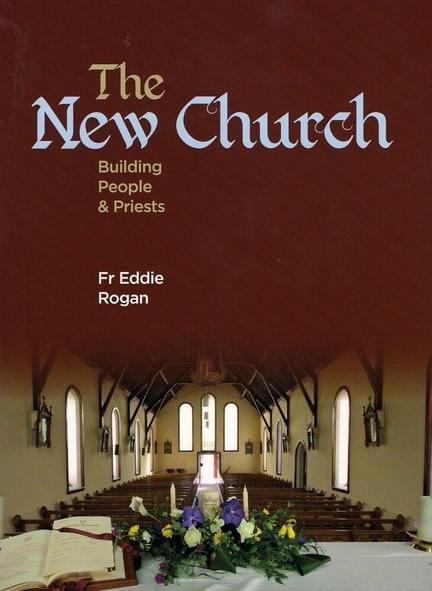 A bi-lingual publication which provides guidelines and reference material for existing and future altar servers in the parish of Kilcommon. Various topics are covered including the history of Christianity in the parish, the role and responsibilities of the altar server, Irish prayers, blessings, the parts of the Mass, the festivals in the liturgical year, ecclesiastical terms etc. Seanteampall Chill Chomáin, one of five graveyards in the parish of Kilcommon, is situated in the townland of Poll a’ tSómais and has been used as a burial ground for centuries. This publication aims to preserve the heritage of the graveyard, which stretches from the Early Christian period down to the present day. It provides a detailed plan of the graveyard so that people can locate their relatives’ graves easily and documents the information inscribed on each headstone. This is a documented historical study to celebrate the centenary of the Star of the Sea church in Cornboy. Through the descriptive and detailed passages we gain an insight into the lives of local people at the turn of the century, and into how their strong faith helped to sustain them as they struggled in times of poverty and distress. Their character and endurance shine through in the black and white photographs, which greatly enhance the book. 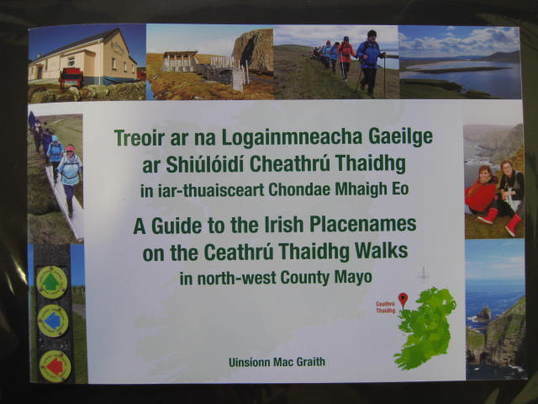 ‘Treoir ar na Logainmneacha Gaeilge ar Shiúlóidí Cheathrú Thaidhg – A Guide to the Irish Placenames on the Ceathrú Thaidhg Walks’ aims to provide an insight into the natural and manmade landscape. Local placenames are superimposed on colour photographs which make them easy to identify on the landscape. The community of Dún Chaocháin are at one with their environment because they live in a landscape that is dotted with Irish placenames, which give meaning to features on that landscape and which give them a place in the lives of the people. Every inlet, cave, reef, rock, hill, headland, field, stream etc. is imbued with its own special name and various customs and activities are also recorded. The community of Cill Chomáin can easily identify with their environment because they live in a landscape that is dotted with Irish placenames, which give meaning to features on that landscape and which give them a place in the lives of the people. Every inlet, cave, reef, rock, hill, headland, field, stream etc. is imbued with its own special name and various customs and activities are also recorded. 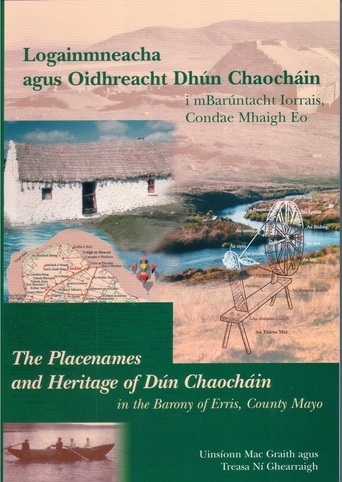 While participating on a Glór na nGael community employment scheme in 1996 Uinsíonn Mac Graith carried out preliminary work on the Dún Chaocháin placename collection project. The project subsequently received financial support from Údarás na Gaeltachta and The Heritage Council. 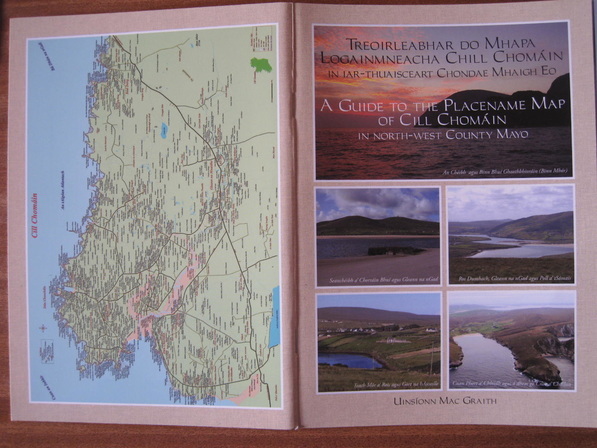 Over 1,500 placenames were collected, mapped and published in the book Logainmneacha agus Oidhreacht Dhún Chaocháin – The Placenames and Heritage of Dún Chaocháin (2004) and in the Dún Chaocháin CD ROM (2001). This publication presents some of these placenames, as well as additional examples from the parish of Cill Chomáin and Béal Deirg, on one large map. In the accompanying booklet the names are listed alphabetically for ease of reference. 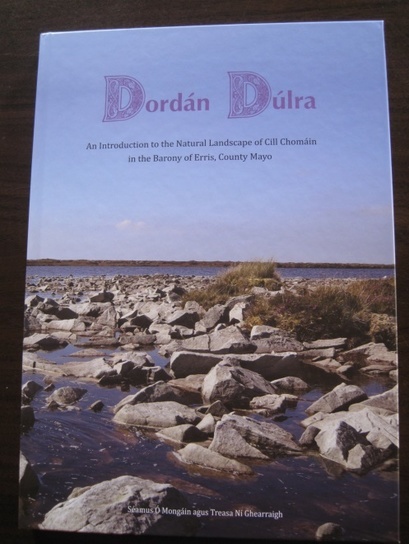 The 140 page full colour book ‘Dordán Dúlra’ describes the natural landscape as well as the flora, fauna and marine life in the parish of Cill Chomáin. This is highlighted by over 200 colour photographs and artwork by the children of Ceathrú Thaidhg National School depicting scenes of nature. 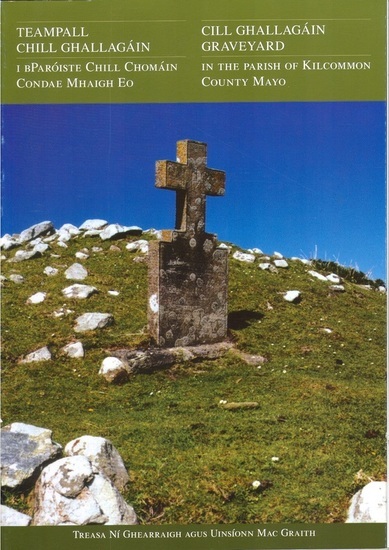 A quarterly community newsletter which has been published by Comhar Dún Chaocháin Teo since August 2005. Back issues are available on request. 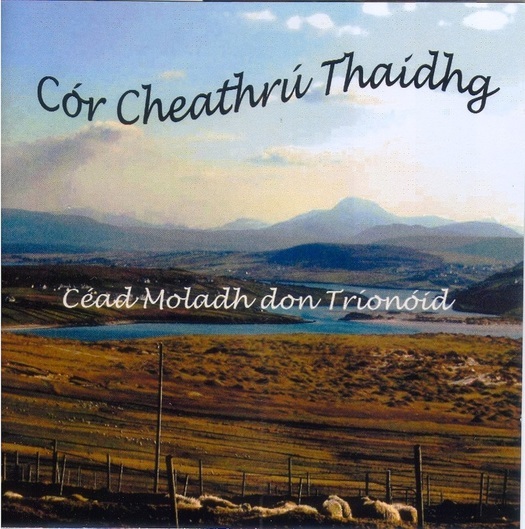 The cd “Céad Moladh don Tríonóid” features a collection of fourteen well-known hymns which are compiled to a very high standard. Those who attend Sunday Mass in Ceathrú Thaidhg will be familiar with the performance of the excellent choir and here is a chance to enjoy their singing in the comfort of your own home. 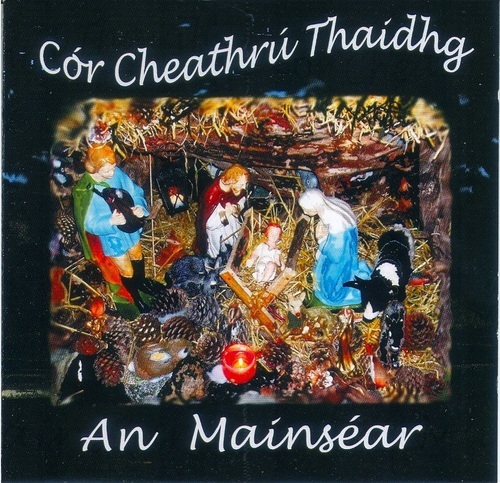 This is the second cd of hymns produced by Cór Cheathrú Thaidhg which features a collection of fourteen well-known Christmas hymns, compiled to a very high standard. In presenting the choir with an award Mayo County Council was fulsome in its praise stating “Very impressive choir sound; clear focus on what they want to do with the award; the choir contributes to the musical life of County Mayo; nice mixture of well known hymns presented against a backdrop of exemplary instrumental work”. 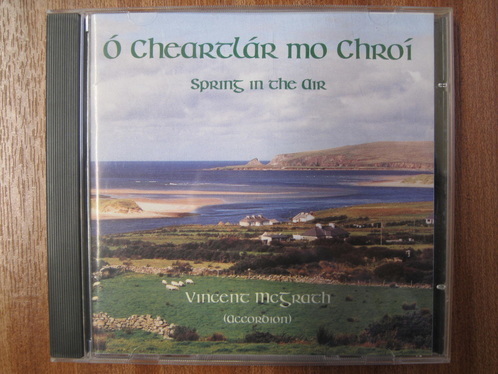 This CD represents the first recorded compilation of renowned box player Vincent Mc Grath’s tunes. The strong rhythmic line to his music echoes both the distinctive style of this native area and the particular dancing skills that are his family legacy. Retired from teaching, Vincent now lives in his native Ros Dumhach (Rossport), overlooking the Sruth Fada Conn bay of the Children of Lir fame. These tunes are a tribute, a paying back to his place and to his heritage – “cloch amháin eile ar leacht a shinsear”. "Please use the map provided by depressing the "CTRL" Key on your Keyboard and rotating the middle (Scroll) button to zoom in and out." Since it was established in 1995 Comhar Dún Chaochain Teo, a community development co-operative based in the Seanscoil, Ceathrú Thaidhg, has developed a wide range of community and language-based projects and services. The co-op administers training courses, summer camps, naíonraí (Irish pre-school services), festivals, Irish translation services, environmental schemes etc. and publishes a quarterly community newsletter. The office of the comharchumann provides information/assistance to voluntary groups in relation to developing and managing projects, sourcing funding etc. Information and application forms are available on various schemes and training opportunities. Photocopying, laminating and fax services are also provided. Treasa Ní Ghearraigh. Community Development Manager/Author. Treasa Ní Ghearraigh has worked as a community development manager with Comhar Dún Chaocháin Teo since 1997 and in that time has overseen the completion of many projects including environmental, heritage, tourism, cultural and Irish-language initiatives. She is a graduate of NUI Galway with a BA degree in Geography and Archaeology. Address: Carrowteige Loop Walk, Carrowteige, Co. Mayo, Ireland.